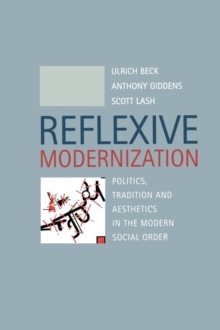 In this major theoretical statement, the author offers a new and provocative interpretation of the institutional transformations associated with modernity. We do not as yet, he argues, live in a post--modern world. Rather the distinctive characteristics of our major social institutions in the closing period of the twentieth century express the emergence of a period of a high modernity,a in which prior trends are radicalised rather than undermined. A post--modern social universe may eventually come into being, but this as yet lies a on the other sidea of the forms of social and cultural organization which currently dominate world history. 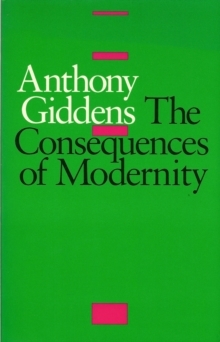 In developing an account of the nature of modernity, Giddens concentrates upon analyzing the intersections between trust and risk, and security and danger, in the modern world. 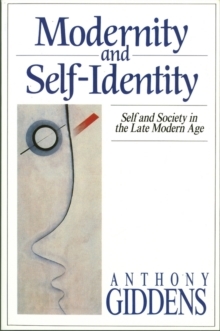 Both the trust mechanisms associated with modernity and the distinctive a risk profilea it produces, he argues, are distinctively different from those characteristic of pre--modern social orders. 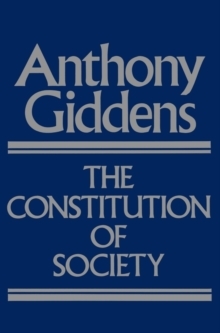 This book build upon the authora s previous theoretical writings, and will be of fundamental interest to anyone concerned with Giddena s overall project. However, the work covers issues which the author has not previously analyzed and extends the scope of his work into areas of pressing practical concern. 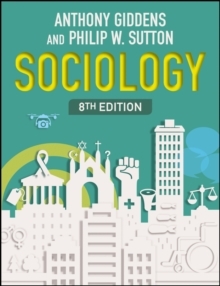 This book will be essential reading for second year undergraduates and above in sociology, politics, philosophy, and cultural studies.